William Phelps, of Lascelle st., died suddenly of heart disease Sunday afternoon at 2 o'clock. 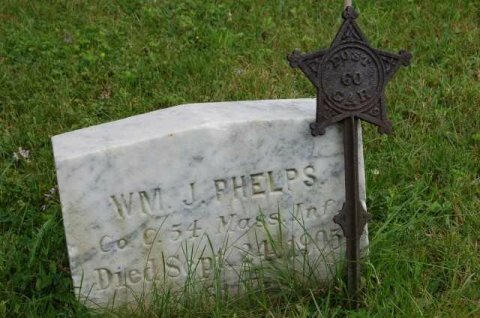 Mr. Phelps had been ill for several weeks with a fever score but had recovered and his condition was much better than it had been for some time. Mr. Phelps, who was a Civil War veteran, was 65 years old and is survived by his wife and two daughters. The funeral of William Phelps, who died of heart failure at 2 o'clock Sunday afternoon at his residence on Lascelle st., was held at 10 o'clock Tuesday morning at his home, the rev. E.E. Marggraf officiating. The burial was in the South main street cemetery, the bearers being William Powell, Daniel Prince, Charles James and William Satchell. The funeral was attended by a large number of the representative citizens of the city.